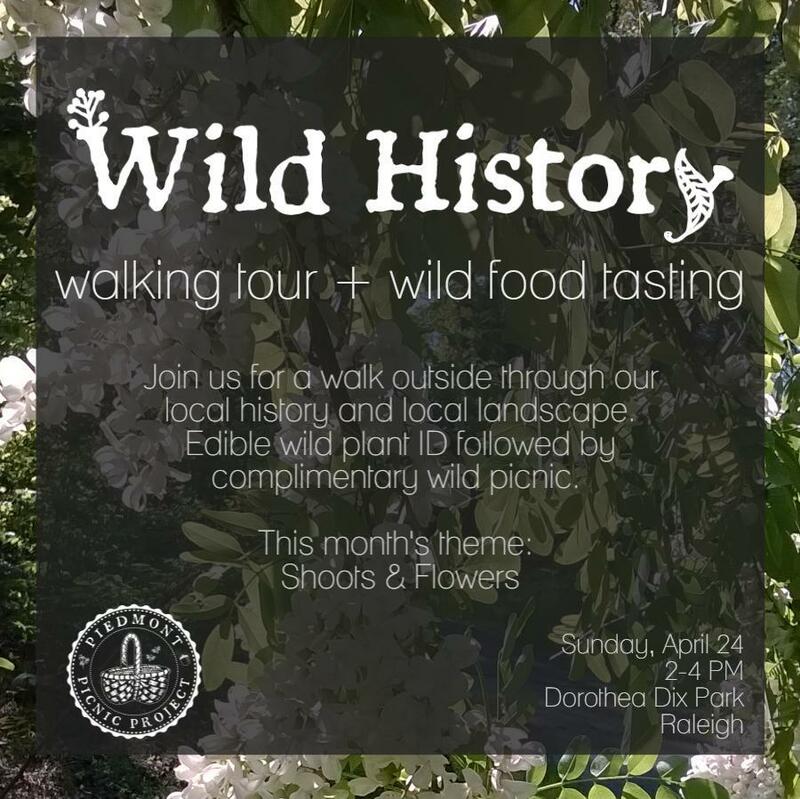 Piedmont Picnic Project will host a Wild History Foraging Walk + Wild Food Tasting on Sunday, April 24, 2-4 PM. We’ll forage edible wild plants together, learn more about the local history, and then taste dishes made from the same plants! Reserve your spot here! +Park in the lot to the left of the Tate Dr. and Boylan Ave. intersection. +Please wear appropriate shoes and clothing for walking outdoors. [weather-specific advice]. +All participants will be asked to sign a liability waiver for the event. +Walks are rain or shine, but in the event of storms, our make-up date for this walk is Sunday, May 1, 2-4 PM. Please check your email the morning of the walk for notice if there is a chance of storms. Want to know how to keep spring flowers all year long?